Cats are very different to dogs in their way of dealing with their human owners. Cats usually decide if and when they want to be cuddled. They are mysterious, gracious, playful and often a cat’s respect and affection must be earned! But despite that they do form close relationships with us humans and bring love and joy to our lives. Whether you have them as a pet or for show, like us humans they can have accidents or become unwell. But they can also suffer from mental emotional issues like fear and grief (e.g. due to death of owner or other cat in the household). A challenge with cats is that they usually don’t show that they are unwell, until it is quite bad. 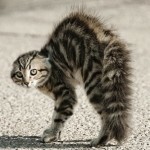 As soon as you see your cat is not its normal self, there is probably something going on. You will find a list of common conditions further down this page. Most people take a sick or injured animal to their Vet first. The Vet gives a diagnosis and can often solve the problem. However you may choose to stay away from drugs and help get your cat back to health in a more natural way. The risk with drugs is that they often suppress symptoms, but not really solve the problem and symptoms can re-appear when the drugs stop working. Also the long term use of drugs can cause serious side effects. Homeopathy and Bowen Therapy can offer a safe, gentle and effective treatment for many conditions. You will find a list of common conditions further down this page. Contact me per email or call me on 07 578 0824 to discuss your cat’s problem. Finding a clear definition of disease is not easy. Neither is finding one for health. From a holistic point of view I see disease as an expression of an imbalance in the body. This could be either physical, mental or both. The imbalance can be on many levels, hormonal, digestive, lymphatic, muscular skeletal, neurological etc. The disease can express itself in certain symptoms, like itchy skin, abscesses, rashes, lameness, pain, fever, coughs and so on. In order to restore your cat back to health, we need to restore the balance. 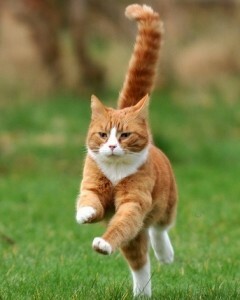 Both Homeopathy and Bowen Therapy aim to help your cat to restore that balance and stimulate the so called vital force. 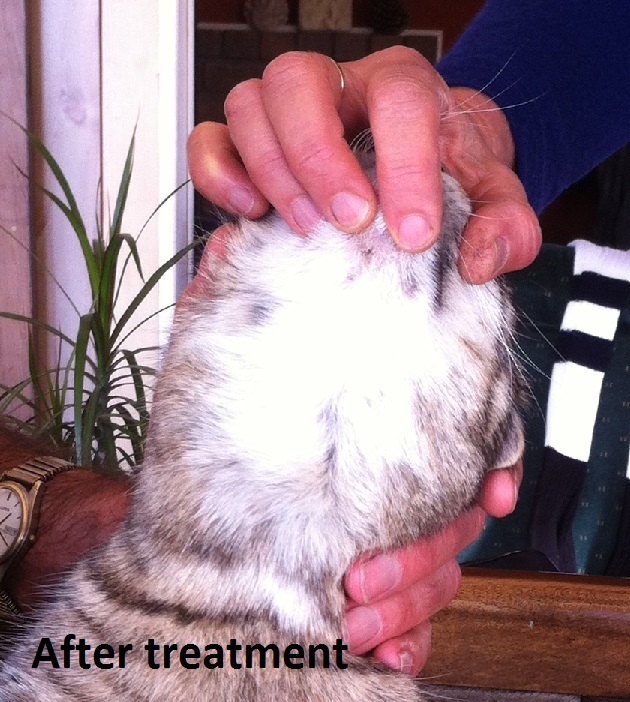 This way the cat is able to heal itself and results in a lasting solution for your animal. What is your cat suffering from? If your cat is suffering from any of the conditions listed below or from any other illness or discomfort, contact me per email or call me on 07 578 0824 to discuss how Bowen Therapy or Homeopathy could help. Below you will find a brief description of some common conditions. An abscess occurs when an infection develops in a part of the body that is capable of opening into a pocket. Most commonly this happens under the skin as a result of a puncture wound. Bites and scratches from a fight are the most common cause. 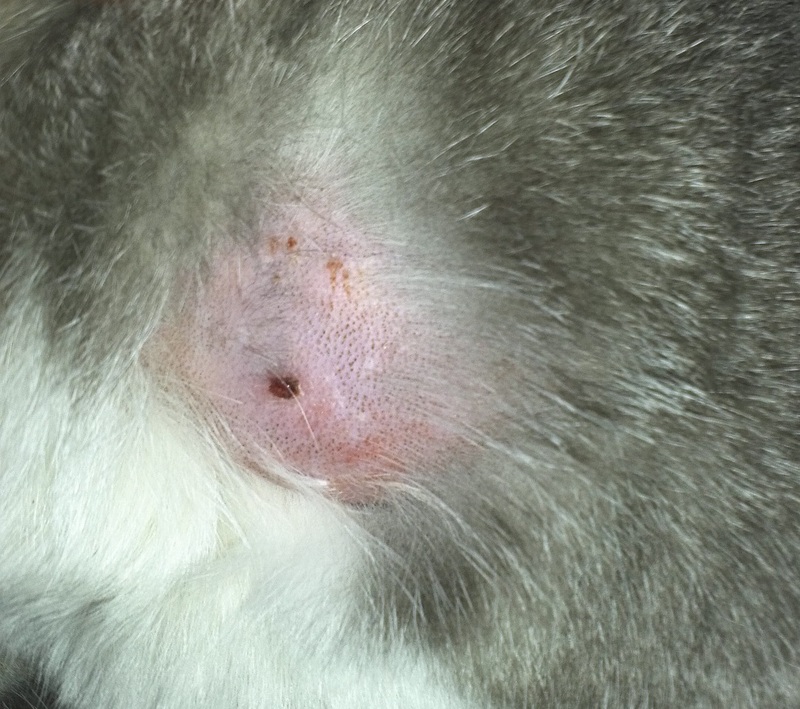 Cats are especially prone to abscesses. The first sign of an abscess is usually a soft swelling under the skin. This can be painful, but often there is little or no pain. The pocket fills with pus and at some point the abscess will rupture. After that the wound from the rupture will usually heal. Abscesses can be treated with Homeopathy. 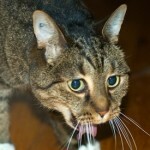 When your cat is constantly licking and chewing certain areas of its body, the cat may have flees or other skin issue. However when there is no obvious cause, compulsive licking and chewing is often a sign of stress. This can be treated with Homeopathy. Also known as upper respiratory infection (URI). 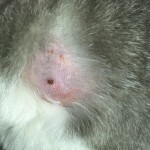 This is a very common disease that can vary considerably in severity and on occasions can even be life-threatening, especially in kittens or immuno-suppressed older cats. In the vast majority of cases, disease results from infection with feline calicivirus (FCV) or feline herpes virus (FHV, or FHV-1). This last one is the more serious of the two. It infects the membranes of the eyes, the lining of the nose, pharynx, sinusses and throat. 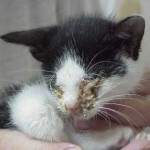 Cat flu in general is a very contagious disease and can spread quickly from cat to cat. It is important to get a proper disagnosis from your Vet. Cat flu can be supported with Homeopathy. Diarrhoea is a way for the body to remove toxins and waste material quickly. With acute diarrhoea this is almost always the case and these situations will often resolve itself. Causes include ingestion of toxins or bacteria as in food poisoning, hairballs, virus infections and parasites (e.g worms). You can help prevent diarrhoea by refraining from giving your cat dairy products like milk or yogurt, because many cats are unable to digest these properly. When a cat has chronic diarrhoea, there is usually something else going on in the body and the immune system is not able to cope. If the diarrhoea persists and lasts for more than two days and/or your cat is dehydrated and lethargic, take it to the Vet first for an examination. Diarrhoea can be treated with Homeopathy. 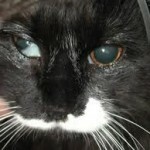 Your cat has an eye problem if there is matter in the eye; the eye waters; the cat blinks, squints, paws at the eye or gives evidence that the eye is painful; or the third eye lid is visible. Eye problems in cats can be caused by a number of things, including conjunctivitis, trauma, viruses, inflammation, and retinal disease. A few symptoms that may mean your cat has eye problems include watery eyes, tear-stained fur, cloudiness, red or white eyelid linings, gunk in the corners of the eye, squinting pawing at the eye, or a visible third eyelid. Eye problems can be treated with Homeopathy. A cat can express its fear in different ways, but most of the time it will be hiding or running away. There are many kinds of fear and anxiety. Your cat can have fear of loud noises, neighbouring cats, strangers, men, strange places etc. There are many causes of fear including abuse, past trauma (physical or mental), having been attacked by another cat or dog or simply having moved house. Fear and anxiety can be treated effectively with Homeopathy. As we all know, cats do have feelings! 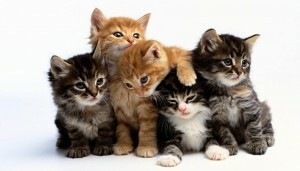 When a cat loses a member of the family, its owner or other animals in the household a cat can be affected by that loss. But also an abused cat can have grief and feel sad. 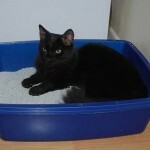 The cat can become withdrawn, sad and not wanting to eat or play or is just hiding in a safe place. Grief can be treated effectively with Homeopathy. Skin disease is often an outwardly expression of serious internal chronic disease. 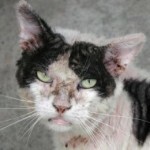 Skin disease can be upsetting, because the symptoms are very visible and the animal may be quite uncomfortable. Recovery can take a long time and takes patience and trust. 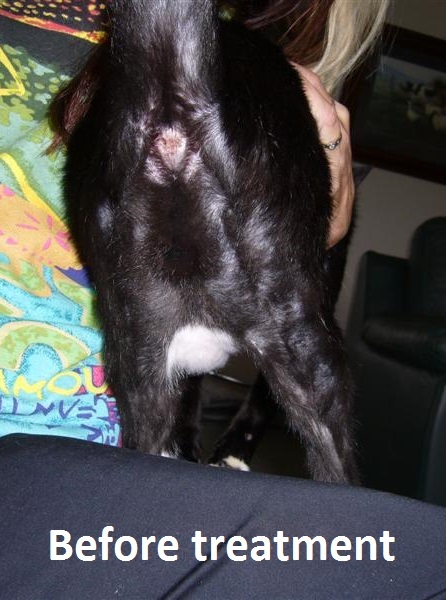 This can be challenging if your cat is itchy and constantly scratching or licking. Causes for skin issues are wide and varied. A good diet including fresh food and raw meat is important in all disease, but especially in skin disease. Other causes of skin issues can be allergies, a weak immune system, parasites and emotional stress. Please contact me to discuss your cat’s specific skin problem. Skin problems can be treated with Homeopathy. These can be either in the bladder or in the kidney. If there is an inflammation of the bladder (Cystitis), you may see your cat trying to urinate often and in maybe inappropriate places. Cystitis can be treated with Homeopathy. Sometimes there are crystals in the urine and these can create more problems. The cause for these crystals can be a diet that is too alkaline, while the natural diet for cats is more acid. Bacteria involved in cystitis usually grow faster in an alkaline environment. 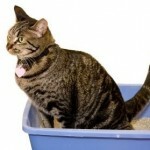 So it may pay to look at your cat’s diet if it is having cystitis issues. Crystals can especially cause a problem in male cats, because they have more difficulty passing them. Obstruction of the bladder is serious and could be fatal. If there is an obstruction, the cat will become lethargic, the breath may smell funny and he may vomit. Please contact your Vet immediately if you suspect this problem with your cat. Urinary tract conditions can be supported with Homeopathy. Vomiting is quite common in cats. The most common cause of vomiting is swallowing hair or some other indigestible foreign material, such as grass, that is irritating to the stomach. Intestinal parasites may also cause stomach irritation. Other common causes are overeating or eating too fast. If the cat vomits once or twice but appears perfectly normal before and after, the problem is not serious and can be treated at home. Vomiting unrelated to eating is frequently a sign of an infectious disease, kidney or liver disease, or other underlying problem. If the vomiting continues or is a chronic issue you should take your cat to the Vet first for an examination. Vomiting can be treated with Homeopathy. This cat was scratching and licking its hind legs. The hair was coming off. There were no clear eruptions or any rash. 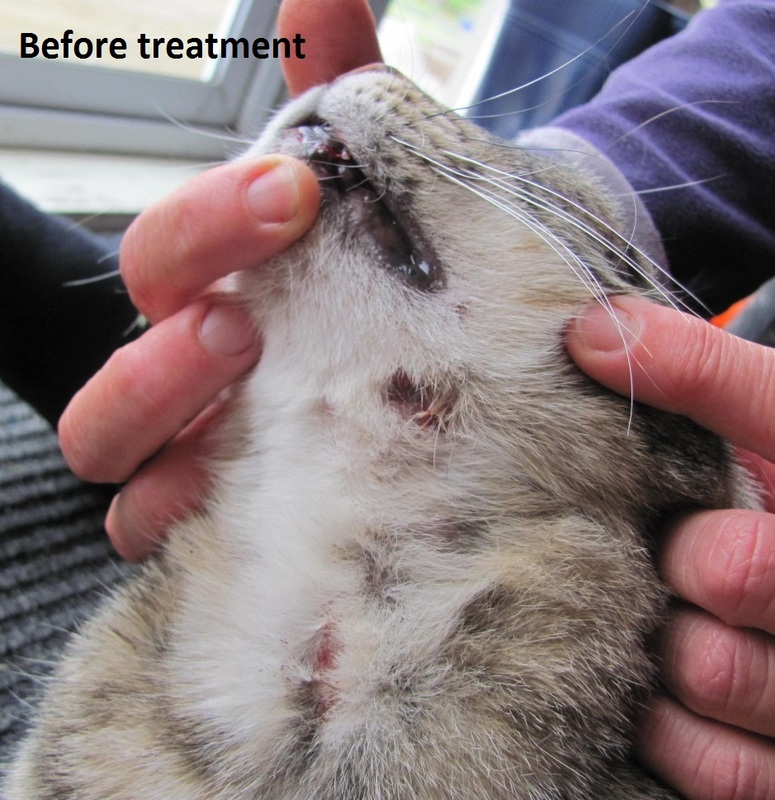 The cat was given a Homeopathic remedy and the owner could already see the difference after one week. After 4 weeks all was back to normal. This cat was scratching its throat raw or until it would bleed. It was only around the throat. The cat was given a Homeopathic remedy and several weeks later it was a lot better. The owners have repeated the remedy a couple of times initially, but the cat has been fine now for 4-5 months. An elderly cat was becoming a bit stiff in his hind quarters, was not happy and standing a bit hunched up. The owner felt he was in pain. The cat received two Bowen treatments a week apart. 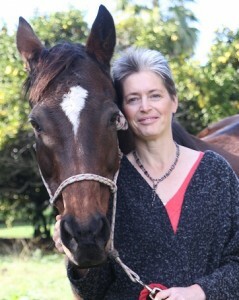 The owner said that he was a lot happier after the treatments and did not look so stiff anymore. If your cat has health issues and you would like to discuss potential treatment with Bowen Therapy or Homeopathy, please contact me per email or call me on 07 548 0824.